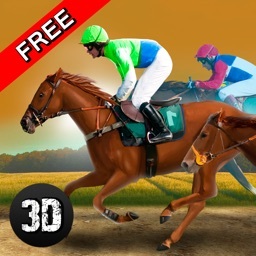 With fabulous and stunning HD graphics, realistic gameplay and smooth temple horse riding tilt control and swipe on screen for virtual jump, cool 3D horse hurdles jumping and turbo racing animations with full of little horse challenges jumping tracks and jungle environment, Horse Racing Championship 2017 is simple and easy to understand and controls are very easy and responsive so people of every ages include girls, boys, adults, kids and seniors can enjoy to play this game. Horses are not only use for cargo, carriage, and dance on events or leave them in forest. 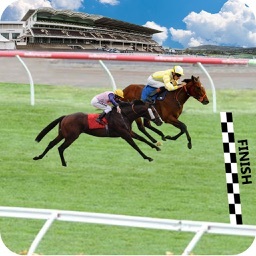 But now horses are used in police stations on hilly mountain areas, horse racing events established every year at world level in many countries. 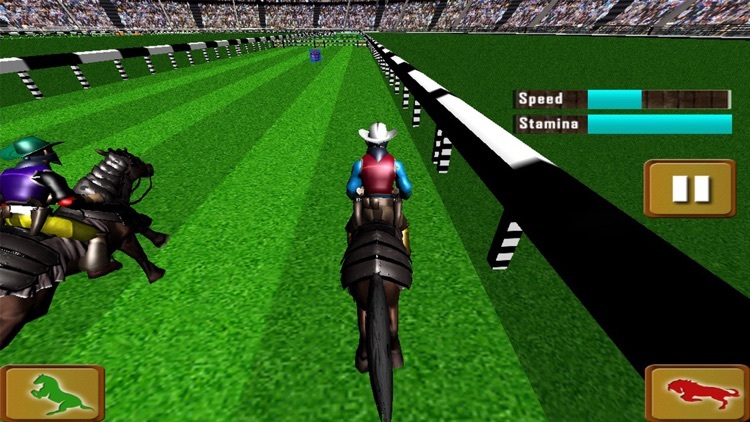 This game will help you to get horse riding and care skills, how to prepare your horse for competition and become the cowboy and king of horse riding events. 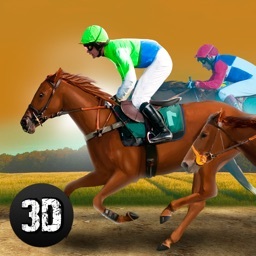 Choose your favorite fast sports racing horse Thoroughbred, Arabian, standardbred, Western horse American Quarter Horse, and racing track to win your real wild little horse racing victory in the ultimate challenges against your competitor players. 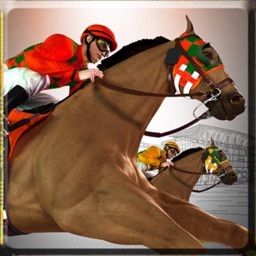 Race through different animals racing tracks and play multiple events pro riding, riding championship, world horse racing championship in this highly challenging Horse Racing Championship 2017 offered with different racing environments. 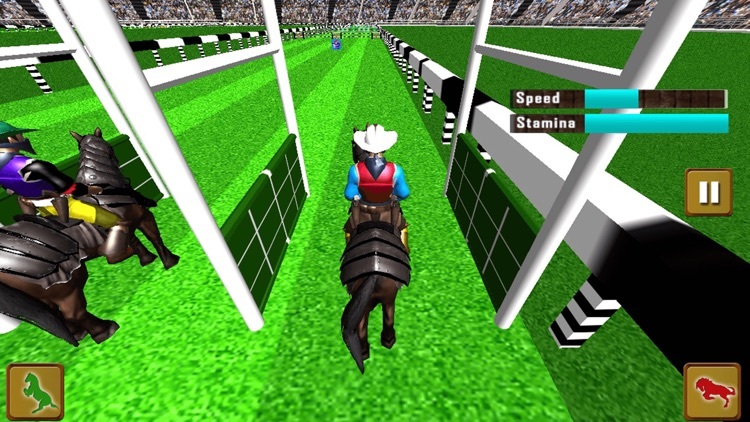 Exciting horse show and cavalo jumping events are waiting for you riding skills! Practice and care your long hair horse to compete in a series of challenging competitions. 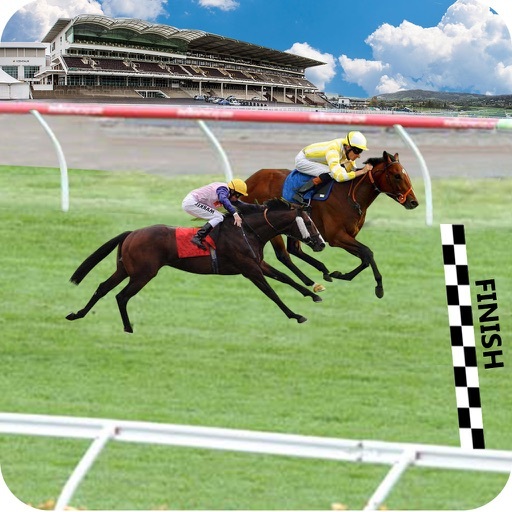 Keeping your horse happy, healthy and active is the key to success in racing events! 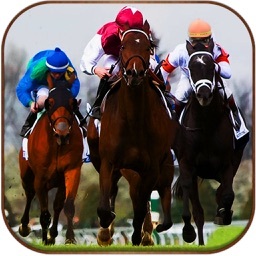 Earn money after success of your race and use this to buy your new horse, upgrade nose and jaw of horse and eat horse to keep it healthy. It’s also interesting game for girls who love to ride on horse and care them. 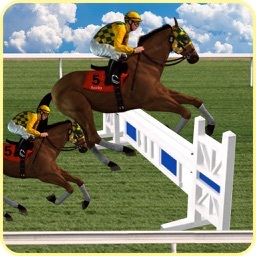 Green land horse racing game has been made on knockout mode base against all the opponent jockeys to enjoy the real essence of Horse Racing Championship 2017. Catch water tub to drunk your horse and boost up their speed. 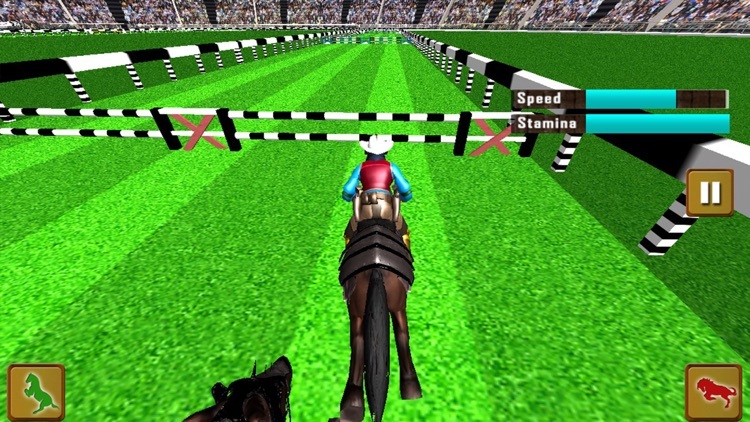 Jump your horse over different and dangerous obstacles, and avoid to hit your horse with hurdles it will damage your scores or may you lose the race.